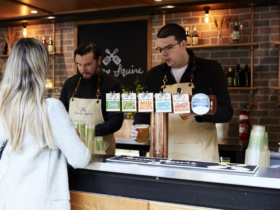 Clean-eating, plant-based, and healthy proteins; here’s your guide to Asian-inspired healthy dishes at Birrarung Marr. 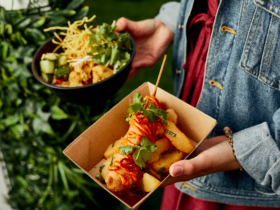 From lean, grilled meats, to antioxidant-rich vegan dishes, to punchy herb-packed bowls – the Night Noodle Markets is where it’s at for healthy eating this November. Every good cook knows that the secret to a great dish is simplicity, great ingredients, and a winning flavour combination. 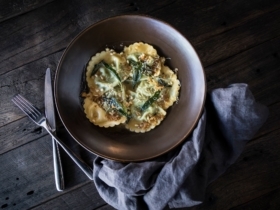 Incredible meals don’t need to be tricked-up with frying, bad fats or fancy seasoning. 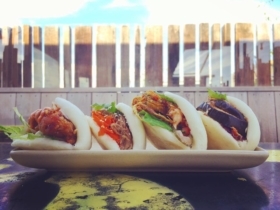 Enjoy these healthy dishes, and more, this Melbourne Night Noodle Markets. Authentic, simple, char-grilled lean chicken is where it’s at for the Filipino BBQ masters at Hoy Pinoy. 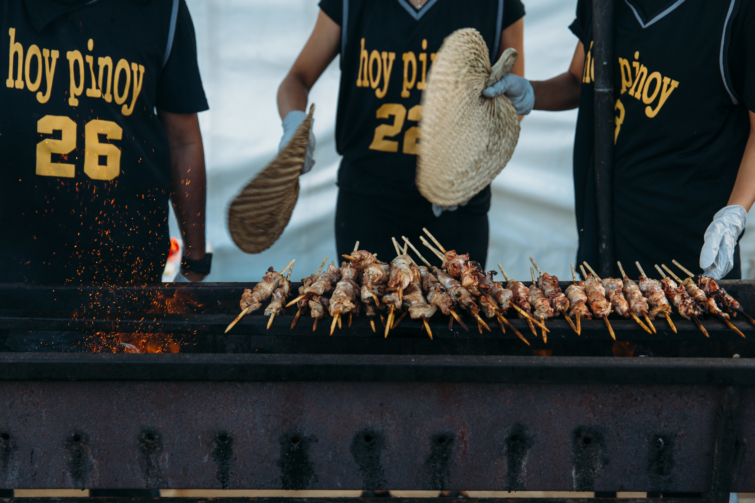 Follow your nose to the Hoy Pinoy cart, and watch these legends attending to hundreds of skewers over the course of an evening. Grab a serve of Inihaw Na Manok, ‘marinated chicken skewers’, for a taste of Filipino street food so authentic, it uses the family recipe. Between the simple marinade that’s packed with flavour, and the smokiness imparted into the chicken during the cooking process, there’s no need for tricks to dress up this amazing dish. Fresh and packed with flavour, this nourishing classic Japanese dish is as good for the soul as it is for the body. 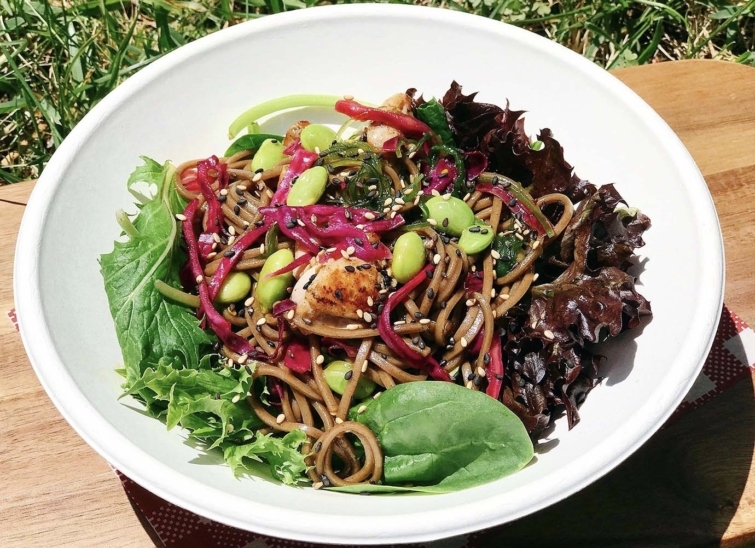 Enjoy soba noodles with mixed salad, antioxidant-packed edamame, pickled cabbage, and a dollop of delicious seaweed salad that’s rich in vitamin A, C, E, K, and B-vitamins. Though this is a plant-based dish, you don’t have to be a vegan to appreciate this incredible meal. Do yourself, and your body, a favour and treat it to a bowl of this nutrient-rich dish. If you’re feeling like you need a bit of a pick-me-up, grab this classic Vietnamese staple, which is jam-packed with super-nutritious fresh herbs, lettuce and rice noodles (one of the healthiest types of noodle). 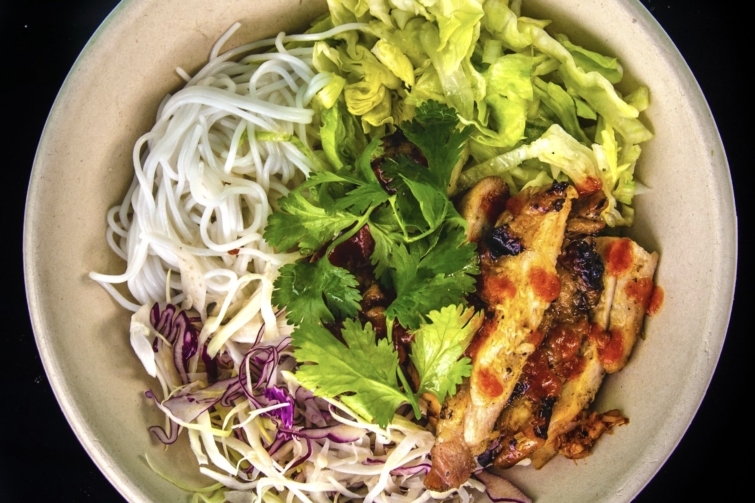 Ask for Bun Thit Nuong, and go for either the chilli lemongrass char-grilled chicken or tofu satay option, and discover this dish that’s medicine-in-a-bowl (there’s a vegan option as well). Flying Noodles We don’t usually associate asking for ‘The Big Boss’ to be good for your health, but that’s exactly what it is at Flying Noodles. Enjoy a dish of chicken tenderloin, diced and marinated with antioxidant-rich soybean paste, protein-packed roasted sesame, sautéed mushrooms, superfood red capsicum and brimming-with-beta-carotene bok choy. Or give a ‘Fist of Fury’ a go, a noodle dish made with large Aussie prawns (chockablock with omega-3 fatty acids), lightly grilled with vitamin C packed fresh lemon, great-for-your-gut-and-heart garlic, and served with seasonal vegetables. Your body will thank you for it. Raijin – Ramen Noodle Miso Tofu (Vegan) or Ginger Chicken Rice For the health-conscious, choosing Japanese cuisine has always been an easy go-to for clean eating. Raijin have a few options for those wanting something lighter, nutritious and delicious. 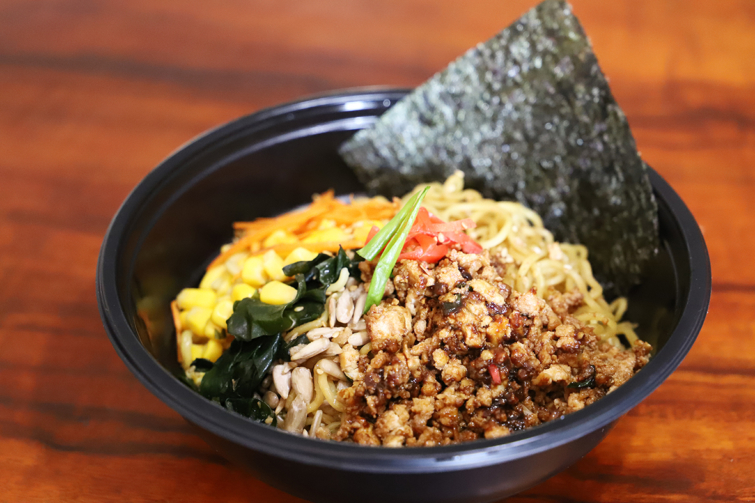 Go for either the vegan-friendly miso tofu, which is a dish of noodles dressed in homemade soy tahini ramen sauce, topped with crushed, crunchy tofu that’s been cooked in their miso tenmenjan sauce, with seaweed, corn, sunflower seed, sesame, pickled ginger, and shallots. 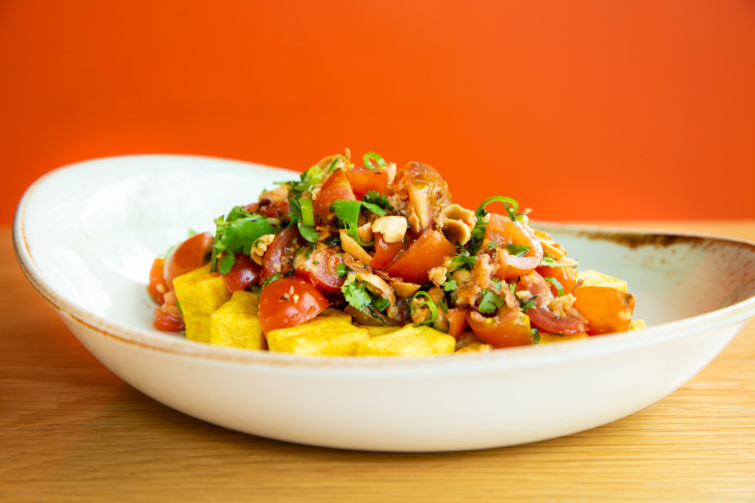 Red Spice Road – Shan Tofu (Vegan) Shan tofu is a Burmese dish made from ground yellow split pea flour and every health-conscious person’s favourite medicinal spice and superfood; tumeric. The tofu is then topped with folate-full tomato, peanuts, antioxidant-packed herbs, sesame, and chilli. 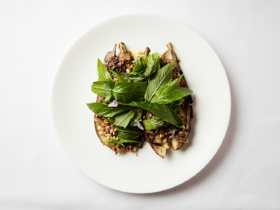 This is a vegan dish that packs a flavour-punch, and happens to also be great for you. 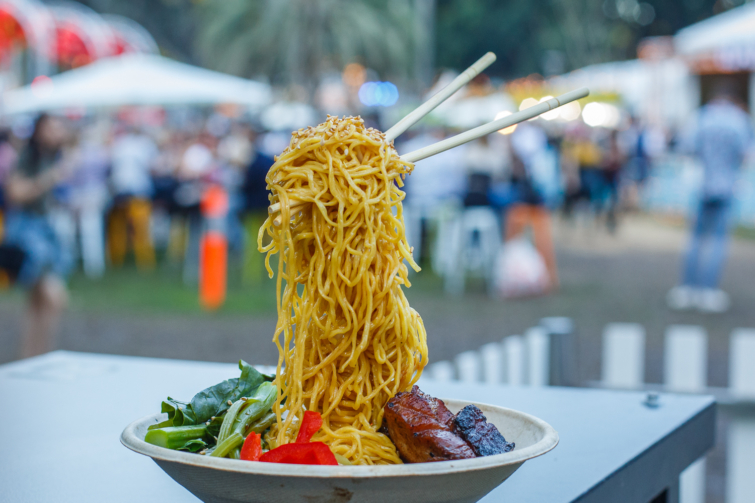 To all you lean, clean, noodle-loving machines, we hope you love all the healthy options available at this year’s Night Noodle Markets. 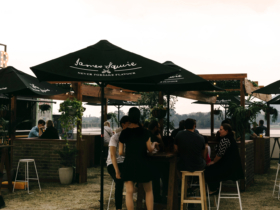 Keep up to date with all things Night Noodle Markets by keeping an eye on Instagram and Facebook. 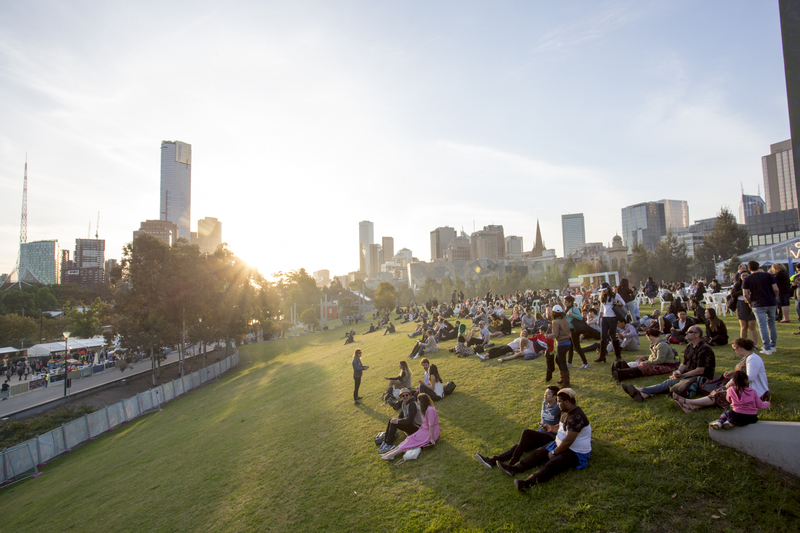 The Night Noodle Markets are in Birrarung Marr, every night from November 8 – 25. Stallholders are cashless so don’t forget to bring your cards – all major cards are welcome.